Discussion in 'Creative Archive' started by AmethystDragon, Jun 5, 2010. 1. One sprite per author per theme. 2. Must fit the theme. 3. The sprite must be yours. No plagiarism, people! 4. It must be sprited. No drawings or anything. 5. Pokedex entry required. If you can't think of one, post the sprite and add the dex entry later. 6. You may use a base, but don't just, say, take a Rayquaza and make it red and black or something! That's just lazy. The winners receive a free pokemon, any one except for an eevee/eeveelution or a legendary. Now, go, my friends, and SPRITE! Oh yeah, I almost forgot. You can re-enter the sprites you had before we lost the data, but only for this theme. Sprites are due Friday! Hurry if you're going to enter! 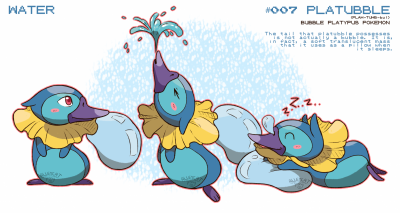 Deuchina is a unique Pokemon belinging to Cytech Industries. Records indicate this Pokemon fell from space and crash-landed on the planet 7 years ago. The Pokemon's remains were placed into a machine that now orbits the planet. Yay I'm iz gunna loss! Drakoeh usually dwells in humid caves to nutrify its charges, but on spring nights its thought to light up the night with its beautiful displays of light and electricity. It fueds with the pokemon of Dark, Gigajinto. ...but what the heck are those? Well, basically it's a dual-type that's never been done before. For example, a Grass-Electric type, a Water-Rock type, etc. Just something that's never been done. Now then, go and SPRITE! P.S. I forgot to mention that the winner receives any pokemon that isn't an Eevee/eeveelution or a legendary. PM me which Pokemon you want! One day! Sprites due tommorow! BURNTERN are usually found on dark, stormy nights in old abandoned places. Usually, the owners of what used to be a simple lantern which then turned into a BURNTERN were never to be found. ... and yet another theme you probably have no ideas as to what the heck it is. Well, it's basically making an existing pokemon, but with a different type. For example, a ghost-type Arcanine, a fire-type Zigzagoon, etc. Now then, go sprite! P.S: Tunduli, PM me the pokemon you want. 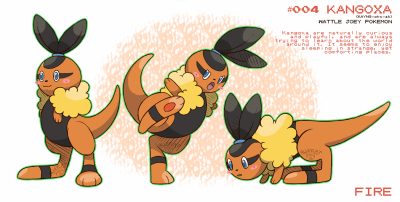 For existing pokemon but different type contest, I entered in a fire-type Turtwig (Or Turtflame) as seen in the attachments. PS I just did this for the hell of it. @pokemonfreak: I'm sorry, but I would not classify that as a sprite. @iFlare: I honestly don't care. It was just a mistake. Jeez. Two days left! Two days! Get your entries in! this is my fire golem. Normal Type Duskull. As I've always thought that the thing kinda looks like some old Gypsy kinda woman, I've made one out of it. Didnt just want to do a recolor so I've editorized a bit. I give you... flying type Pikachu. I have an electric type charmander. I like these entries. They're very nice. Keep 'em coming, guys! This one you can tell just by the title. You just make an evolution or prevolution of an existing pokemon. Simple, right? Well, there's a catch; It must be a legendary! You read that right. You're making evolutions and prevolutions of legendaries! Good luck! You might need it. And don't forget that free pokemon for the prize. Every thousand years, Rayquaza will summon an enormous egg in the heavens. Billions of SNAQUAZA are inside this egg. They will fight until only one remains. When the Egg hatches, Rayquaza will teach the young SNAQUAZA everything it knows, before the SNAQUAZA evolves and the original Rayquaza dies. A Rayquaza Prevo. Pretty much just a recolour. Still, not bad for my first sprite! here's my prevolution chewby(chew-baby) the prevo of mawile. this pokemon spends most of its time looking for berries and hiding from larger predators. ^-the contest is about legendary pre- or evolutions, not typical Pokemon. You just make an evolution or prevolution of an existing pokemon. Simple, right? Well, there's a catch; It must be a legendary! Jeez. Read the whole of the post before you enter, morons. All entries for this contest up to this point will be ignored. Ok I have a prevolution of suicune. Blisune is given one body of water to watch over. It uses this body of water to perfect its abilities before it is able to evolve. @Nikki: Don't forget that you have to put a Pokedex entry, ok? All entries for this contest up to this point will be ignored. Blazikid, please read rule number 6. Thank you. In that case, just forget my posts. I'm not a very good spritist. I'll try harder in the next one. ... well, you know the sprites are made already, so what do you do? Well, you sprite new pokemon you'd like to see in Generation V. It's pretty much a free-for all. Good luck! Yes, I am asking you to scratch a sprite! Any kind, just so long as you scratch it completely. I WILL know if you don't scratch it completely, comprende? Might want to update the first post. Anyway, Do you mean make a sprite from scratch? Because I'm not quite sure what you meant.